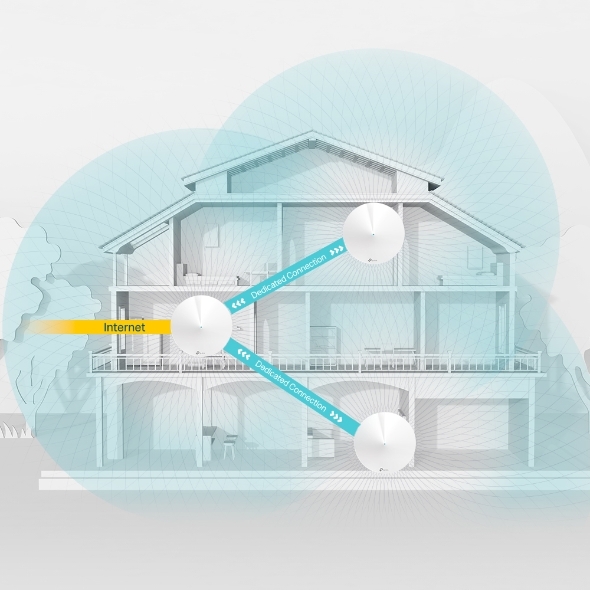 Seamless Coverage: Achieve seamless whole-home coverage with a mesh Wi-Fi system and eliminate weak signal areas once and for all. 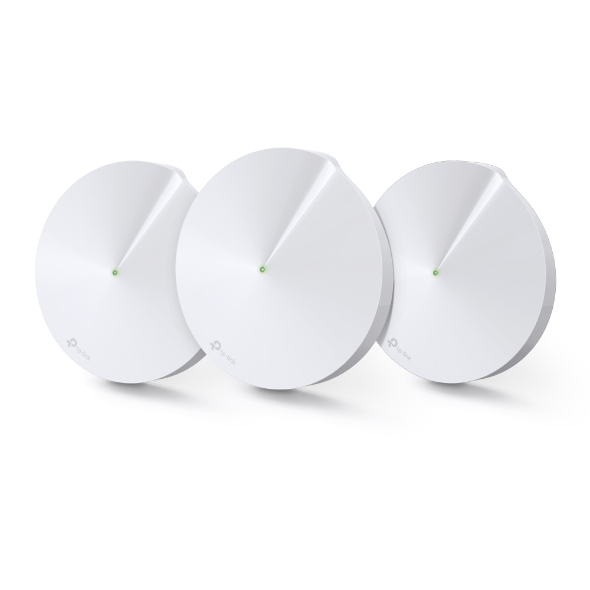 One Unified Network: Multiple units form a whole-home network that auto-selects the best connection as you move around your home. 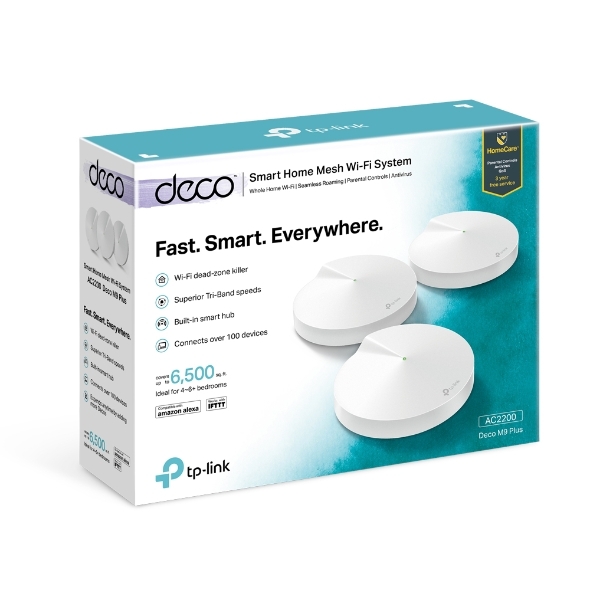 Broad Coverage: Enjoy Wi-Fi coverage up to 6,500 square feet with just 3 Deco M9 Plus units and expand it by just adding more Decos. 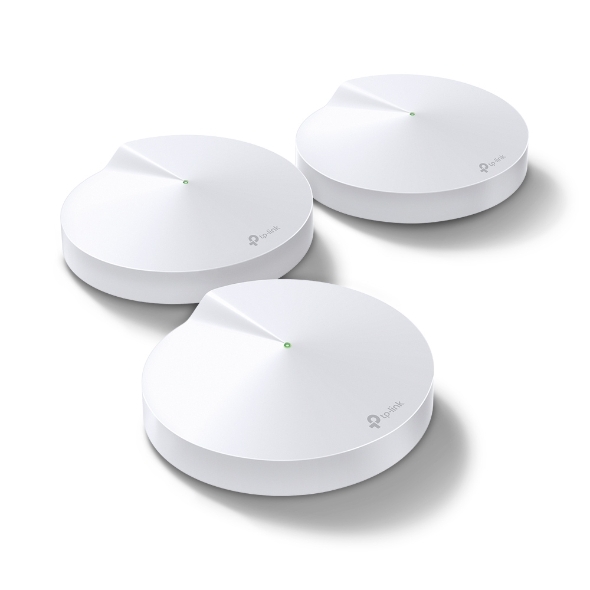 Fast Connections: Three separate wireless bands up to 2134 Mbps with a dynamic backhaul up to 1.5 Gbps ensure stable, high-speed connections wherever you are in your home. 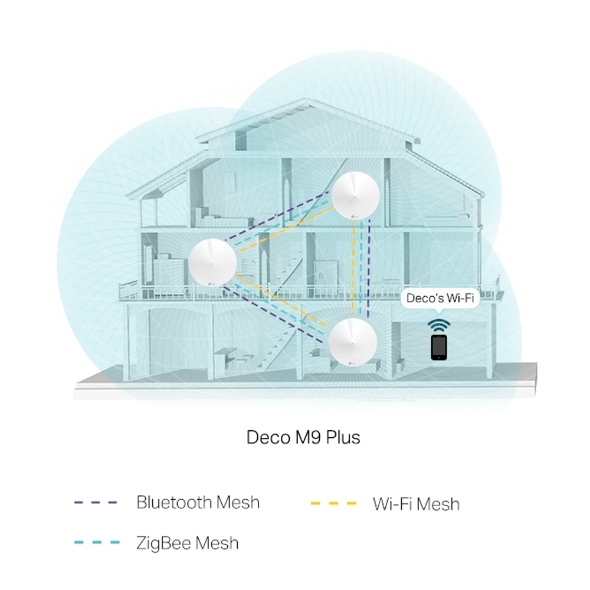 Seamless Management: Deco M9 Plus acts as a hub for your wireless and smart home devices. 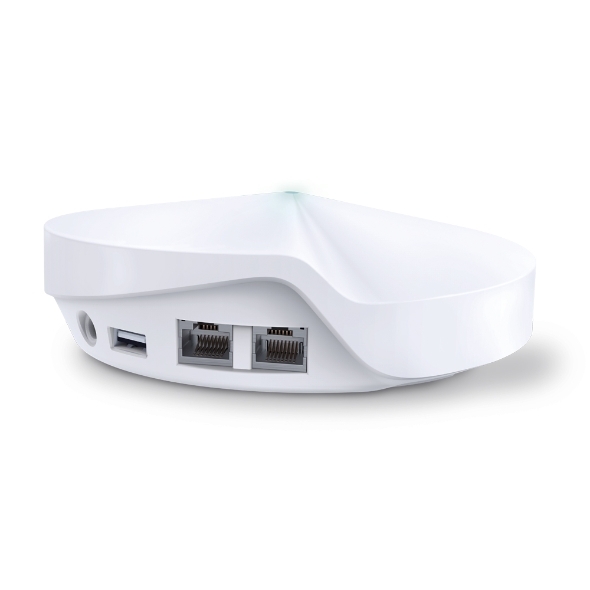 Connect Multiple Devices: Deco handles traffic from even the busiest networks, providing lag-free connection for over 100 devices. Total Security: HomeCareTM provides personalized features, including Parental Controls, Antivirus, and Quality of Service (QoS)* to ensure a safer online experience. 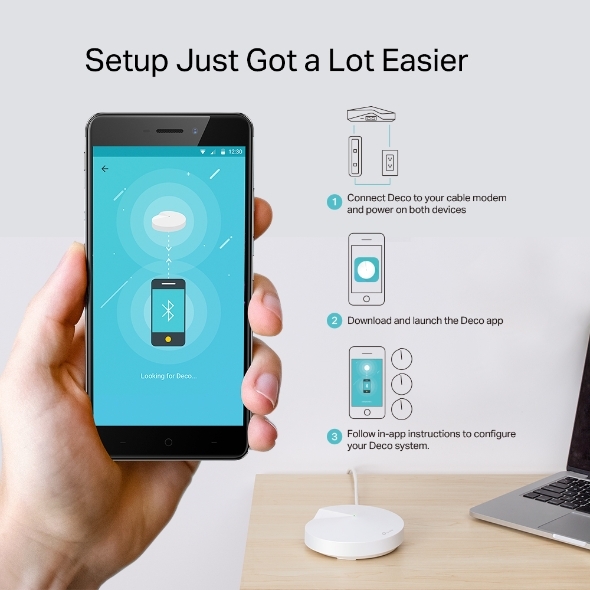 Setup Made Easier Than Ever: The Deco app walks you through setup—step by step.